If you are online trying to find the best type of mattress, knowing exactly which one offers the right benefits for your individual needs can prove to be a challenge. 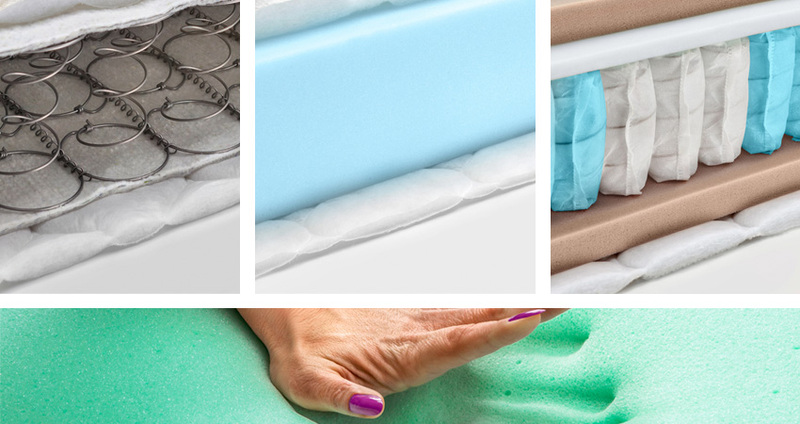 With so much information available online from a huge range of mattress brands, all claiming to have the best-rated mattress, we felt it would be useful to compile a quick mattress guide, that compares Innerspring, Latex, and Memory Foam options. So, if you are looking to find who makes mattresses that are perfect for your needs, read this mattress comparison guide before you continue your search through the endless range of mattress manufacturers. From as far back as the 1930s, Innerspring Mattresses have long been a popular choice for consumers who have been searching for the perfect mattress. The design and meticulous construction offer support and comfort from head to toe, and they provide an adaptable feature that enables them to respond to changing sleeping positions throughout the duration of sleep. For durability and longevity of the mattress, we recommend purchasing a double-sided flippable mattress, which gives you the same quality of sleep on both sides of the mattress. If you’re looking for more information on innerspring mattresses, take a moment to view these helpful articles we’ve found for you on best mattresses based on sleep positions. Regardless of the size of mattress (king, queen, full, or twin) you need, there will be an Innerspring Mattress that meets your requirements and expectations. Although Innerspring and Memory Foam mattresses are seemingly the most popular choice, a latex mattress is widely regarded for providing consumers with a high-quality and high-end option. They are also available from Royal Bedding as a flippable mattress which further adds to the overall longevity and appeal of the latex mattress. Latex offers a similar range of features to a memory foam mattress; however, unlike memory foam, consumers get a much cooler sleeping situation, with a surface that delivers just the right amount of flexibility and bounce. It is known as the mattress that mattress manufacturers use in their homes. We found this pros and cons list of natural latex mattresses to be helpful and thought you might love to read it as well! There are fewer options and styles available made of 100% latex, and you will find that latex mattresses are more expensive, but the additional cost can be easily justified with the enhanced benefits they offer. The overall high-quality and performance of latex mattress overrides these factors. When you think of memory foam, you will actualize many products, not just mattresses. This material was originally developed by NASA and can be found in a huge range of products that are synonymous with comfort. When you consider a typical memory foam mattress, the construction deems that the memory foam materials are only used on the upper surface of the mattress, with other materials used in the core. 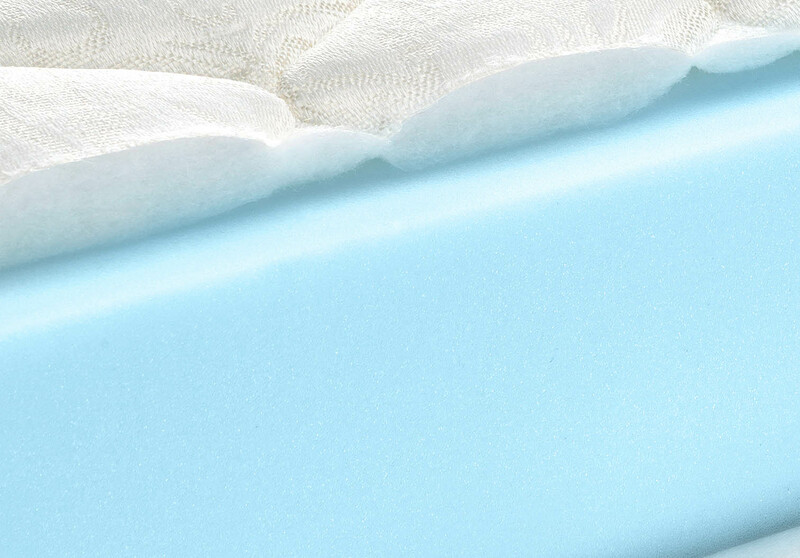 For those who live in warmer climates, memory foam might not be the best two-sided mattress due to its lack of ability to provide breathability, it is also perceived to have a lack of bounce, so if these features are of particular importance to you, then an Innerspring or Latex Mattress could be a better option. The only way you can know how you’re body will truly respond to each mattress type is by spending a little time physically laying down on each mattress. It’s important to know the science behind how you’re body is supposed to be supported, but we still highly recommend that you visit a showroom like Royal Bedding and request some guidance from a specialist to help guide you in the correct direction based off of you’re feedback. We’ve found another great resource that can provide you more information on what type of mattress you might best enjoy based on your preferences and sleeping habits. This definitive guide to buying a mattress will help further assist you in your understanding of what mattress type could best work for you. Royal Bedding would love to help you in your mattress education and shopping journey, so please reach out to us!